Hofstra Law is grateful to the many alumni, parents, friends, law firms, foundations and corporations who help support our mission through charitable contributions. Thank you for your dedication. 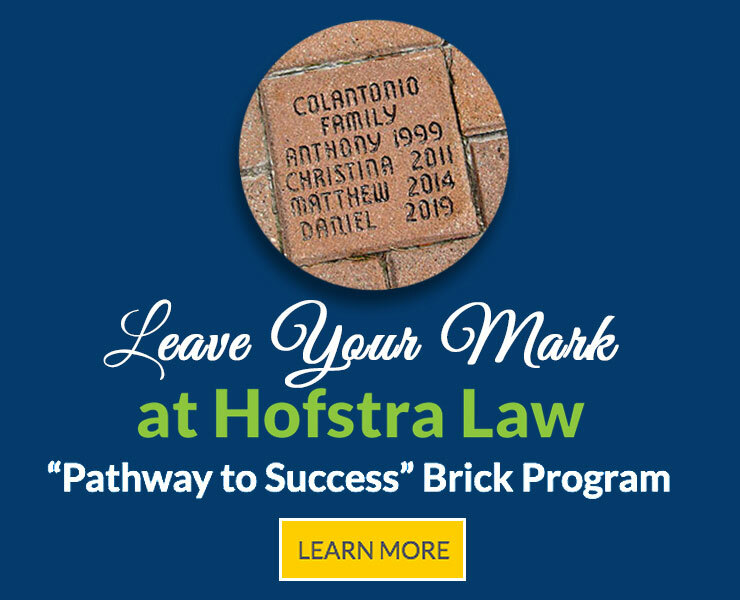 The Dean’s Circle gives special recognition to donors who contribute $1,000 or more to Hofstra Law (excluding event contributions). In addition to being listed in the Donor Report (PDF), these donors are included on the Dean’s Circle recognition display in the Leeds Morelli & Brown Atrium and receive special membership benefits.